The Interview Archives - Little Beth Entertainment, Ltd. 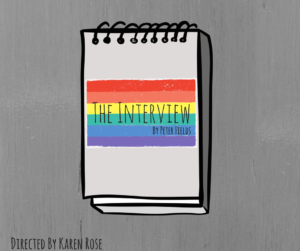 The Interview, a one-act stage play written by Peter Fields, will be performed along with three other plays at the First Annual 80 Minutes Play Festival at Western Reserve Playhouse in Bath, Ohio. The story centers on a high school newspaper reporter named Gabe who meets with Gerald Harris, a school board member, for an interview seeking Gerald’s opinion on allowing Gay/Straight Alliance Clubs in public schools. Ultimately, as the interview progresses, both individuals reveal hidden motives and long kept secrets. Western Reserve Playhouse’s production of The Interview is directed by Karen Rose. 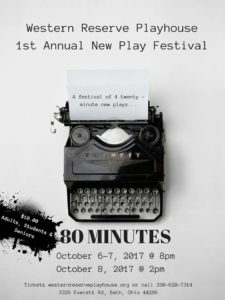 These performances will be held October 6 and 7 at 8 pm with a matinee at 2 pm on Sunday October 9, 2017 as part of the 80 Minute New Works Play Festival. Tickets are on sale now.